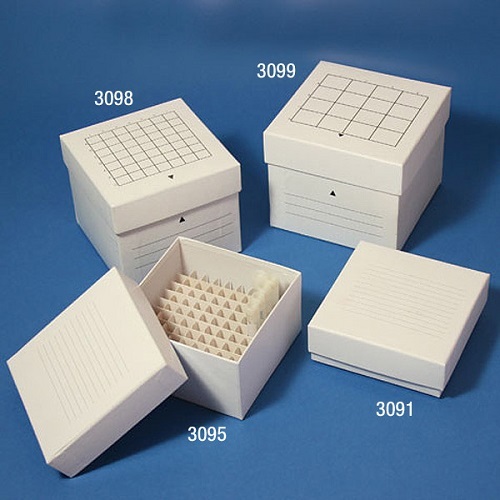 Pipette.com carries a broad selection of cryogenic storage and freezer boxes to meet any cold storage needs you or your lab may have. 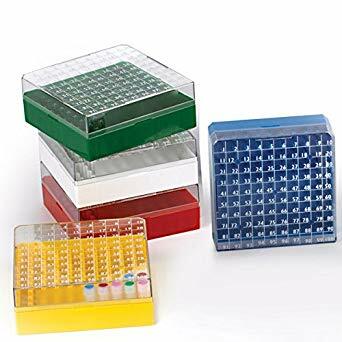 Our selection of cryostorage units and boxes include cryogenic storage racks, cryogenic storage freezer boxes, chest freezer racks, vial holders and partition boxes, vial canes and cane sleeves and cooler workstations. 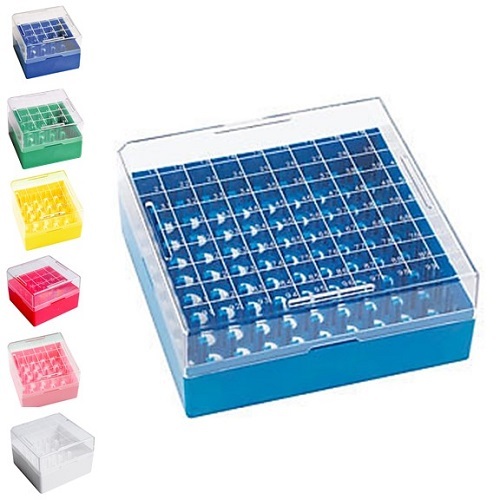 These cryogenic storage and freezer boxes are available in a variety of different colors for easy assigning of colors to various storage vials or tubes, and easy identification of sample types in cryogenic storage. 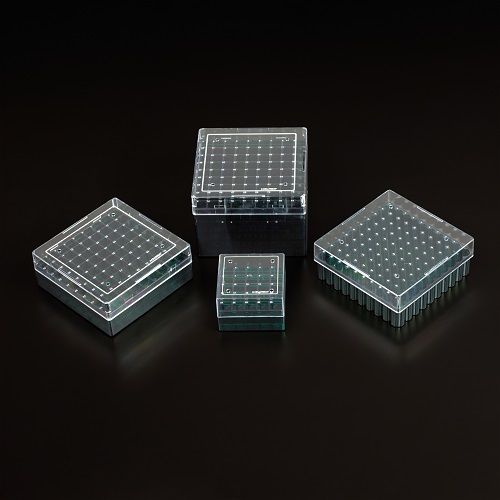 They are also available in different materials to suit different storage requirements, from cardboard to plastic to stainless steel. 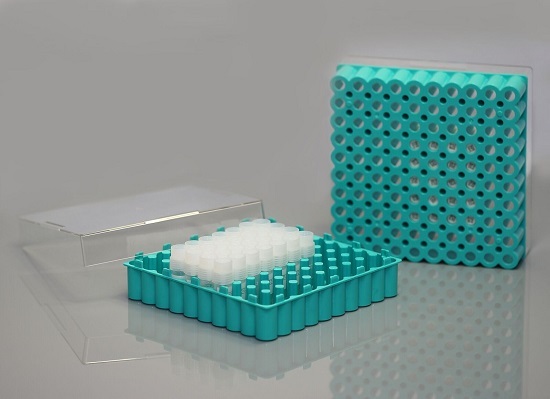 We carry cryogenic storage and freezer boxes manufactured by an array of different manufacturers including Cryostore, Heathrow Scientific, True North, Arctic Square, Nest Scientific CoolCaddy and CellTreat. With this selection of manufacturer options available you are sure to find the perfect freezer boxes or cryo storage options to meet your specific needs and requirements. 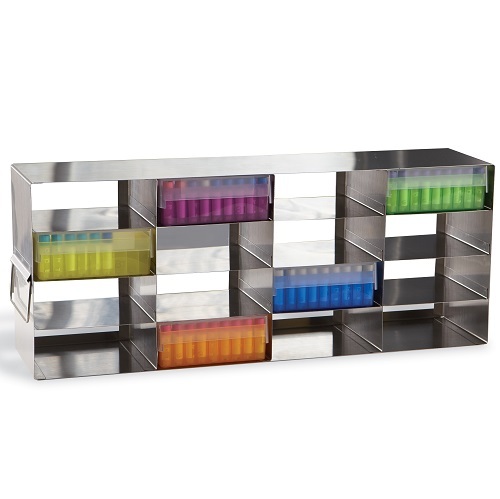 Scroll through the various cryo storage and freezer boxes (as well as other storage options and accessories) below to find the units and types that best meets your needs. 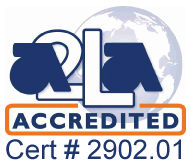 If you need any assistance in choosing the right piece of equipment to store tubes and vials in your freezers and/or liquid nitrogen storage units, just give our team a call on 1-800-243-3232 and a member of the Pipette.com team will be happy to talk you through the various options available and help you pick the perfect storage option for you. 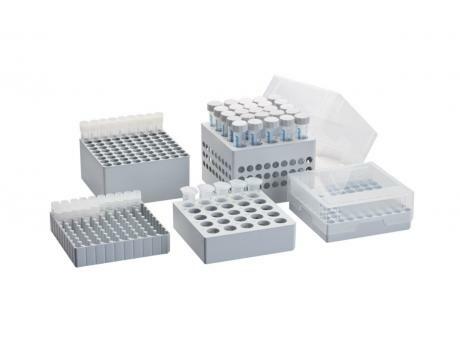 Nest Scientific Cryogenic Boxes are used to store samples, tubes, and vials in cold storage units such as freezers. 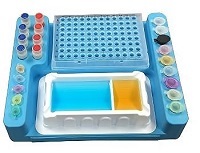 They allow the user to keep samples grouped and organized, and provide easy access to samples while leading to minimal time with the freezer door open. Choose from a wide selection of corrosion resistant stainless steel racks that are compatible with major brands of upright and chest freezers.